Product data are extremely important data for any manufacturing company, and valuable property. The person managing product data thus has a very important job. 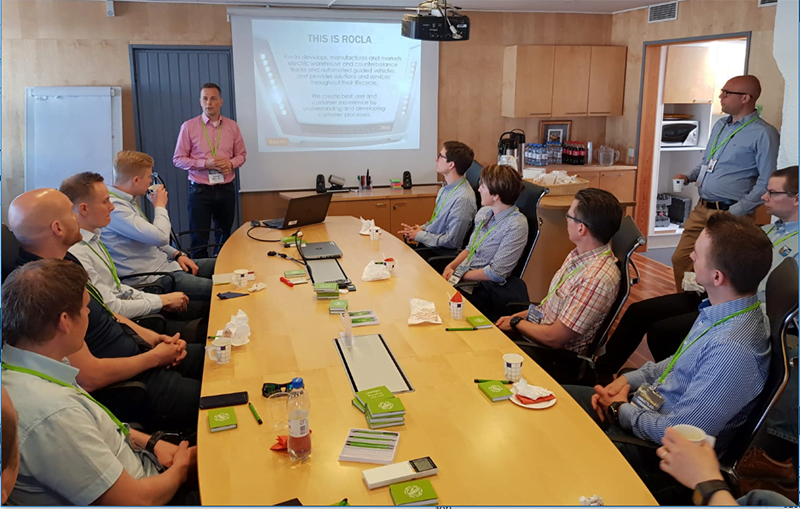 We wanted to organize a special day for the administrators of Roima's product management solutions to offer them a chance to network, share experiences and benchmark the best practices with colleagues from different companies. The event attracted a lot of interest, and the 24 spots available were reserved in no time. The host of the first Product Management BoF was Rocla Oy, the one and only producer of forklifts in Finland. Rocla’s award-winning designers use Roima’s SolidPDM, and the company’s product data are managed in Aton. The forklifts are manufactured at company’s the factory Järvenpää, which also served as the venue of the event. After the round of participant introductions, we got to hear about our host company Rocla. 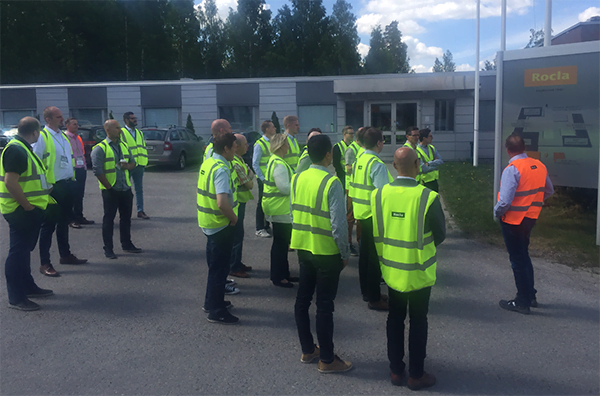 The presentation shed light to what kind of company Rocla is today and how it manages data throughout the lifecycle of its forklifts. Warm thanks to Teemu Salonen and Mika Särkkä for their excellent presentation! During the day, Roima’s professionals gave a presentation on solutions aimed at networked industry, cloud-based solutions and the new features of Aton and 3D engineering. Before lunch, the participants had a compact Roima Workshop, where the Aton and SolidPDM administrators present at the event got the chance to share their wishes and expectations towards future product versions, and rank their order of priority. We want to ensure that Roima’s product truly meet the needs and expectations of the companies using them. That is why we think it is crucial to include and engage the users in our product development. As the highlight of the day, we go to tour Rocla’s production facilities. And what a great tour it was! To our great joy, the first ever Product Management BoF received excellent feedback; the participants were especially delighted by the size of the group, which they thought was just right, and by Rocla’s presentations and factory tour, Roima workshop and all the fruitful discussions. As development ideas for the next meeting, the participants hoped that there would be even more time for discussions and more case examples from real life. With these and other feedback in our mind, we start planning the next BoF meeting! If you want your name in the guest list, please contact Roima’s marketing team through the contact form next to this article.